Settle inside a golfer's paradise. Relax near the sea, and approach to enjoy the magnificent beaches of the Costa Brava. Cadaqués, Rosas, La Escala, Sant Pere Pescador, Llança, Port de la Selva, Estartit. In an environment perfectly integrated with nature. Field and mountain excursions. Great views of Canigou and golf. With the ability to practice your favorite sports: Golf, swimming pools, Spa, tennis and paddle tennis, horse riding, cycling, or try new adventures like flying aircraft or balloon, parachute release. Hotel and Restaurant, all services at your fingertips. With interesting cultural visits around House Museum and Salvador Dalí, ruins d'Empuries, Pals. Haute Cuisine. Dream vacation to enjoy with your family. The deal directly with the owners. Contact and facilitate any activity you want to achieve. We like to look in detail to all our customers. Fantástico apartamento para disfrutar en familia. El anfitrión, impecable. Other Activities: Ballooning. Horse Riding. Golf: Luxury apartment located within the Torremirona Golf, 18 hole (par 72), with spectacular lakes, wide greens and magnificent views. Field located 12 km from the emblematic and characteristic town of Figueras. A 100m. 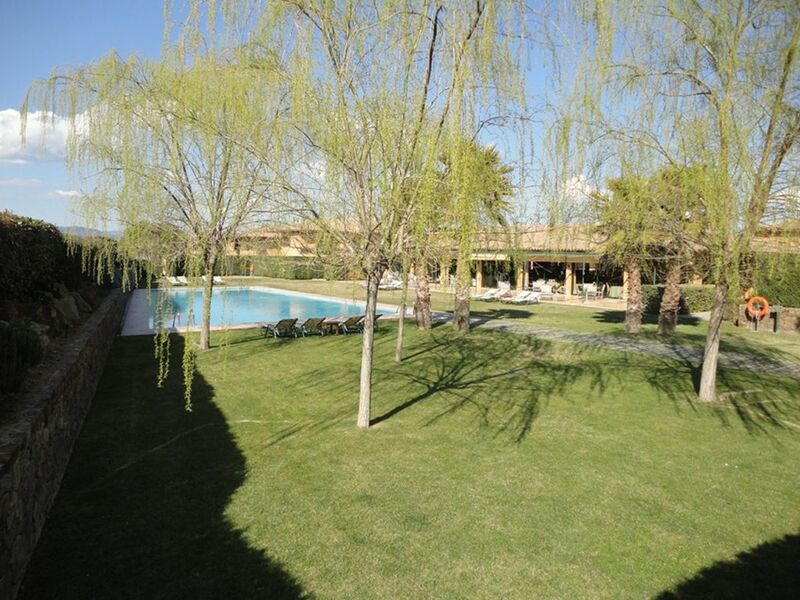 the building is the Hotel Relais Torremirona hotel with all amenities for golfers and the wonderful Spa Resort where you can relax with a stimulating massage and beauty treatments as well as perform various sports practices. Both facilities include a restaurant, lobby and bar. Welfare, health and relax in a setting of incomparable beauty.